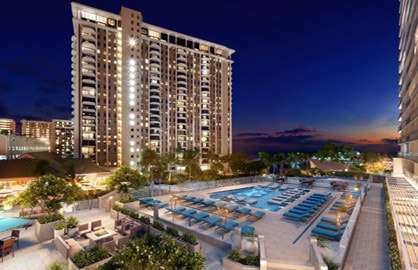 This unit is a truly amazing unit that offers awesome lagoon ocean views while being one of the very few units that have been completely remodeled to superior standards while having a sliding separation wall that closes off the bedroom area for added privacy with a cool frosted divider wall. Everything in this unit is new. New pergo floors, open kitchen design, beautiful appointed luxury modern bathroom, 40" Flat screen TV, DVD, 2 double beds in bedroom area and a double size futon couch/bed in the living room. 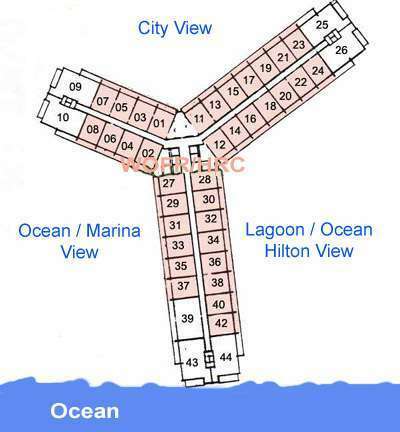 The position of this unit is also one of the most desired areas of the Ilikai. The 18 stack overlooks the beautiful lagoon and Pacific ocean. Watch the surfers, watch the fireworks show, enjoy your comfortable 120sf lanai with your favorite drink and spend hours gazing at the views you will never forget. 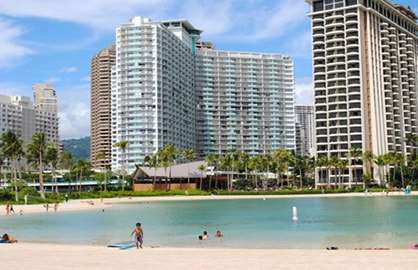 Ilikai 818 - Condo unit 818 worked out perfectly for our week-long stay in Waikiki for our daughter's wedding! 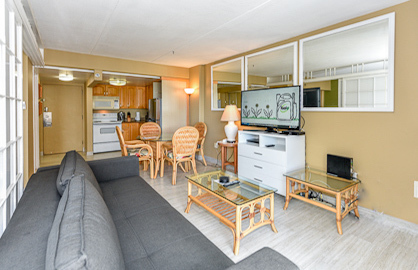 I found the Ilikai condo website while searching hotels and airbnb homes....and knew it would be the right fit for us. I sent the link to my daughter, who had also spent hours searching and immediately booked a unit here as well. She let her future in-laws from Australia know about it and they booked two more units. This made it so easy for us to have "girls only" days, immediate family days, the whole wedding party meals, etc. by just meeting down in the lobby at designated times. EVERYONE loved this place! We got to see two other rooms, also very nice but Unit 818 was the perfect fit for us. My husband, adult son, and myself shared the unit. Absolutely loved having the sliding door between beds & living area for a bit of dressing privacy. 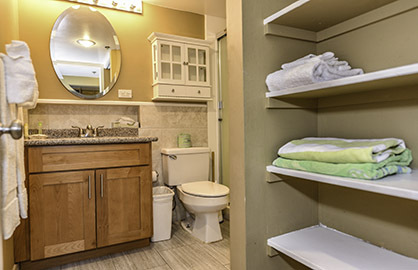 There was plenty of room for storing clothes in drawers, hanging in closet, alot of open shelves in the bathroom. 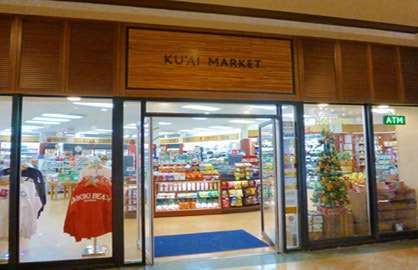 My guys like to cook, so we found a grocery a few blocks away to stock fresh fruits, breakfast items, snack items, drinks and cooked breakfast every morning, enjoying it on the lanai. (The unit was missing a cutting board; we picked one up so it has one now) We had everything else we needed right there. The view is unbeatable; location great for picking up bus, rental car, getting out of city to explore. The night of our daughter's beach wedding, where the limo picked us up and returned us to the Ilikai, we all had the chance to return to our rooms to refresh, then meet in a private room in the restaurant at the top of the building. BEST view of the city, and the food and service were fantastic for a "special" meal. 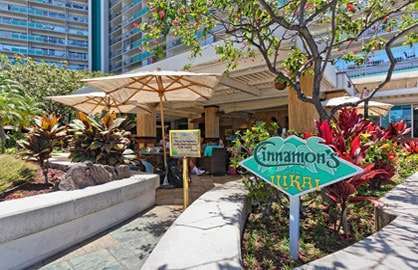 I would definitely recommend our unit 818 for its flexibility for guests (the sofa folded out to a comfy bed for our adult son....2 small children could have slept there; the TWO full beds and the sliding screen just gives alot of flexibility for sleeping arrangements) I would recommend the Ilikai condos in general to anyone visiting the area. 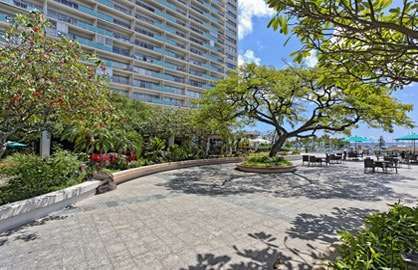 Ilikai 818 - Excellent Condo, with clean modern furnishing The condo is very well looked after. I would definitely stay there again The view was fantastic. Ilikai 818 - Room 818 was clean and tidy and had enough room for 2 adults and three children. The views from the balcony were amazing of the lagoon and fireworks. We will be back for sure. 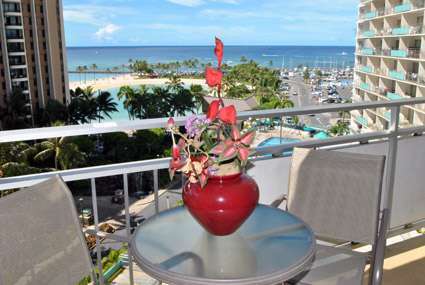 Ilikai 818 - A clean, spacious, well equipped condo with beautiful views. This represents better value than hotels we have stayed in previously. 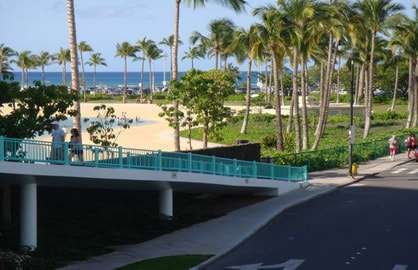 Although it is not in the heart of Waikiki, there are regular buses outside the main entrance. 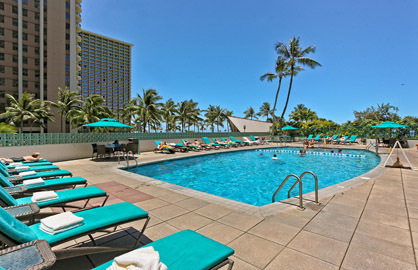 We have stayed at the Ilikai several times in the past few years in different apartments the most recent 818. 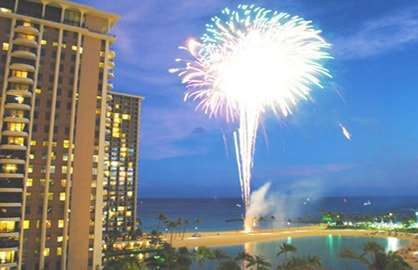 The view of the lagoon and ocean were wonderful as was the fireworks display and Hilton Luau. 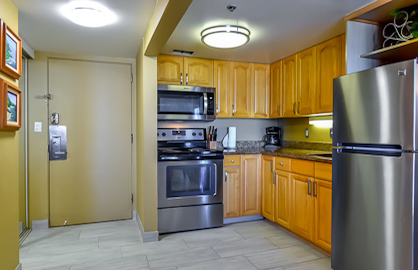 Good kitchen facilities but we felt a smaller lounge would be more suitable in this apartment. 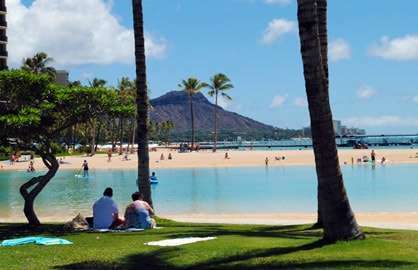 Location was excellent having the lagoon and beach next to the building and being within walking distance of the Ala Moana shopping centre. Bus stop out front to take you into Waikiki and it is one of the major pickup points for the tours. 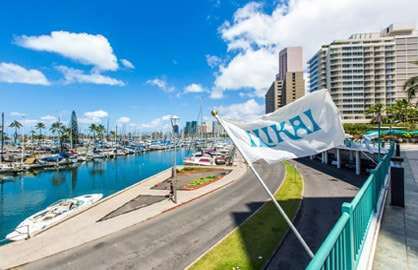 Will we be going next year, yes and Ilikai 818 is the apartment we will choose. 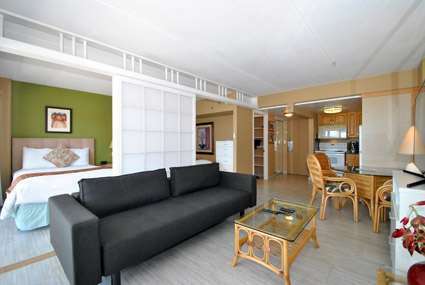 I just loved the Condo that we stayed in when we came to Hawaii in Oct for my daughters wedding. It had everything that we needed to make our stay comfortable. The view was amazing , clean and very comfortable. I would recommend anyone to stay in the condos. Aloha! Thank you for making our stay for the one week in May an enjoyable one. Often, the accommodation can make or break the vacation for me. 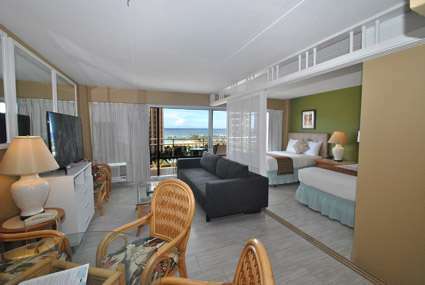 Suite #818 was perfect offering a fantastic view and location to the beach and Ala Moana shopping center. 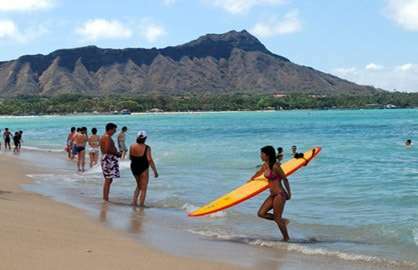 The hotel location was convenient to hop onto a bus to the local attractions whether it be Diamond Head or Pearl Harbor. 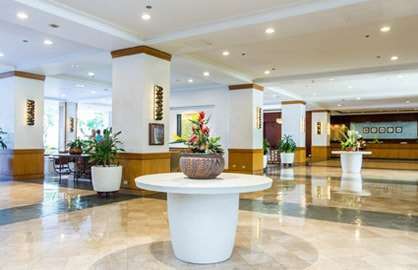 We found the room and facilities to be well maintained and extremely clean. 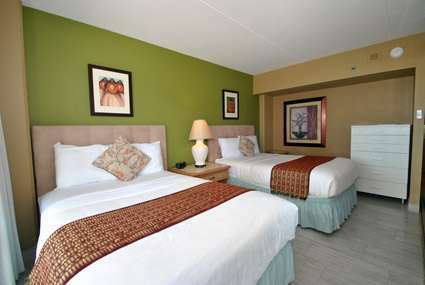 We would not hesitate to rebook into this room or any other rooms and will highly recommend to our friends and families. My daughter and her friend stayed in #1802 which is more updated than our room and they too thoroughly enjoyed their stay. Also, the staff has been great and I found dealing with staff extremely helpful and professional. 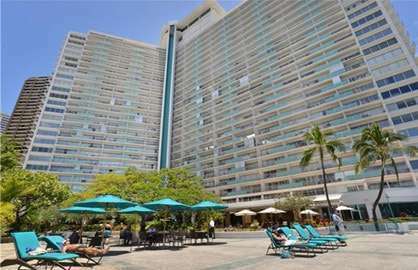 Just thought I would take the opportunity to say thank-you and that: I stayed in apartment 818 with my cousin and her daughter for a period of 10 days, and let me say that the Ilikai was fantastic and made our time in Hawaii most memorable. 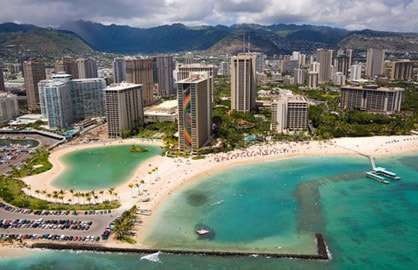 This is the first time that I have stayed in a fully contained apartment in Waikiki (previous stays have been spent in hotel rooms) and it definitely won't be the last. The check in was effortless and the fact that we didn't have to worry about a room key was fantastic. How many times do we ask "have you got the room key ?" before closing the hotel room door before heading off for a day of sightseeing, shopping and beach, no such questions asked at the Ilikai. The location of the Ilikai is fantastic. 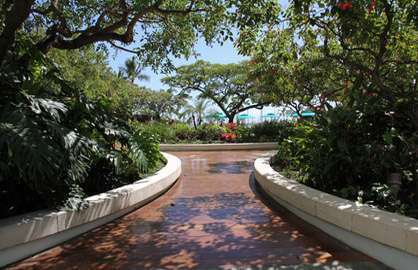 A short walk to Ala Moana Shopping Centre and a beautiful walk along the beach walk into the the heart of Waikiki. I would definitely recommend these apartments to my family and friends. Apartment 818 was clean, the beds were comfortable, everything that we required was on hand and the view from the balcony was perfect. 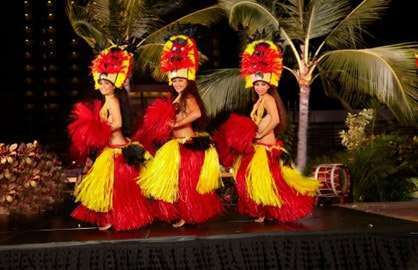 Thank you for making my stay in Hawaii once again enjoyable, and for my cousin and her daughter who were first timers to Hawaii a holiday experience that they won't forget. Thank you very much, The place is very nice, clean, and the view is one of those a million dollars view.Great place, made my vacation even better with that view. Just wanted to say a belated thank you for our stay with you in November. We had a fantastic time and the apartment (818) with kitchen and sliding door was absolutely perfect for our family with two small boys. Obviously this allowed our little one to go down during the day for sleeps undisturbed and also eat in, which is so much easier with a young family. 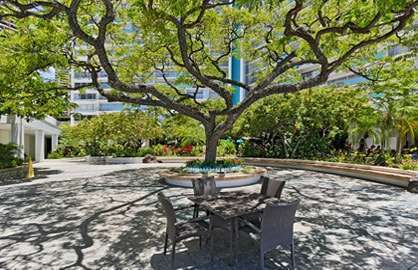 The location was also perfect for us, right at the start of Waikiki within easy walking distance to heaps but not right in the busy tourist strip. Thanks again and we will be recommending your service. Aloha! We stayed in Condo 818 in September 2010. Our stay was wonderful! The condo was clean. Our family of four (two teenage boys) had plenty of room to move around. The view is beautiful. 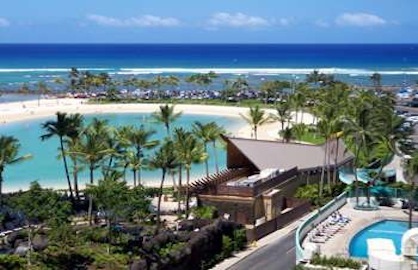 We could even watch the Luau at the Hilton several evenings from the lanai. (Binoculars do help, be you can hear it and see it some without them). Everyone was very helpful. I would highly suggest valet parking. It is well worth the $18/day. Everyone was right there to attend to our needs. We only had one or two, but the responses were very prompt. It was so nice after our long plane ride to just go right to the condo without having to check in anywhere. You just get a keycode for the door to use for your stay. The pool was wonderful. Always quiet and clean, thanks to Kay, the pool lady! If you want lots of excitement and action, this place is probably not for you, although the Hilton is right next door; a quick and easy walk. We very much enjoyed the quiet and relaxing environment and would suggest this condo to our friends and family (and already have!). Thanks so much for making our stay perfect! Mahalo and Aloha!